This weekend I had a book signing for Richards new art book. I also had team cul-de-sac items to sell. 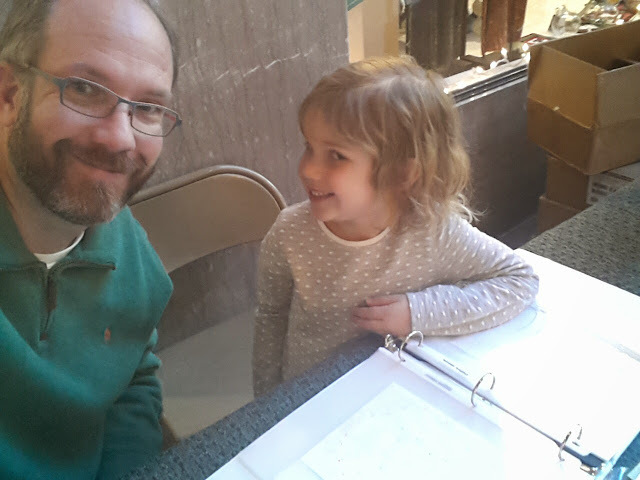 My 5 1/2 year old daughter, Emily, wanted to come along and sell her artwork she had made the night before for Uncle Richard and TCDS. As of tonight she has made $50. 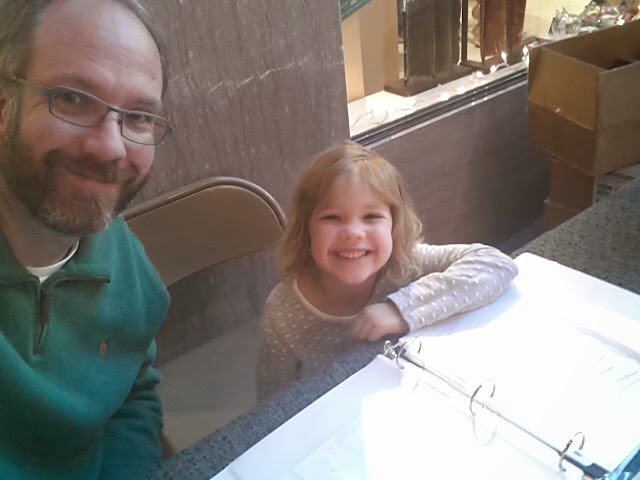 Her first donation of many. I am so proud of Emily. Could you say no to her? Team Cul de Sac is the 10th biggest fundraising team so far this year. Our up to date total is $83,905.76. I still have a few Bill Watterson autographs. One Complete Calvin and Hobbes, a couple Stripped posters and one Team Cul de Sac book. Great holiday gifts for a great cause! 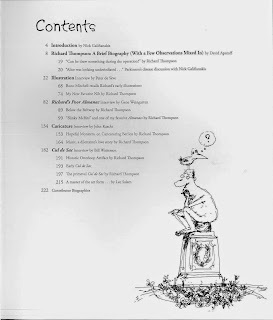 of Richard Thompson will delight established Cul de Sac fans and cast a wider net far beyond, with readers captivated by the sheer beauty of Thompson's work. Renowned among cartoonists as an "artist's" cartoonist, Thompson is noted not only for his humor and intelligence, but also for his fun, imaginative artwork. continue to inspire as well as entertain. 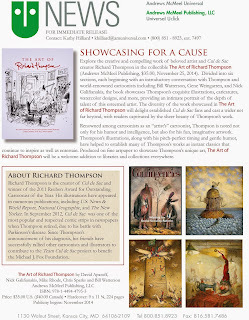 Produced on fine artpaper to showcase Thompson's unique art, The Art of Richard Thompson will be a welcome addition to libraries and collections everywhere. most popular and respected comic strips in newspapers when Thompson retired, due to his battle with Parkinson's disease. 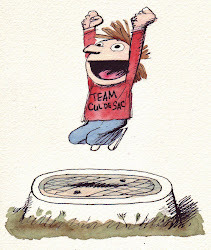 Since Thompson's announcement of his diagnosis, his friends have successfully rallied other cartoonists and illustrators to contribute to the Team Cul de Sac project to benefit the Michael J. Fox Foundation. 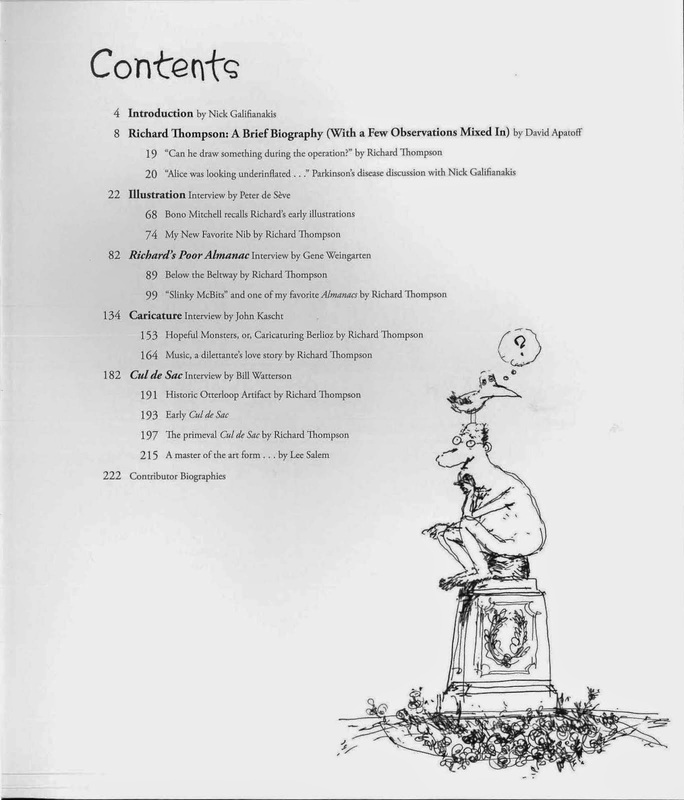 Richard Thompson has been called a "cartoonists' cartoonist." Find out why in this warm and moving portrait. David Apatoff, Nick Galifianakis, Chris Sparks and Mike Rhode will be discussing the new book, The Art of Richard Thompson and signing copies. Richard will be attending, but not signing the book. A short film about Richard's career will also be premiered. Folks can pre-order signed copies of this and the Complete Cul de Sac from the website. 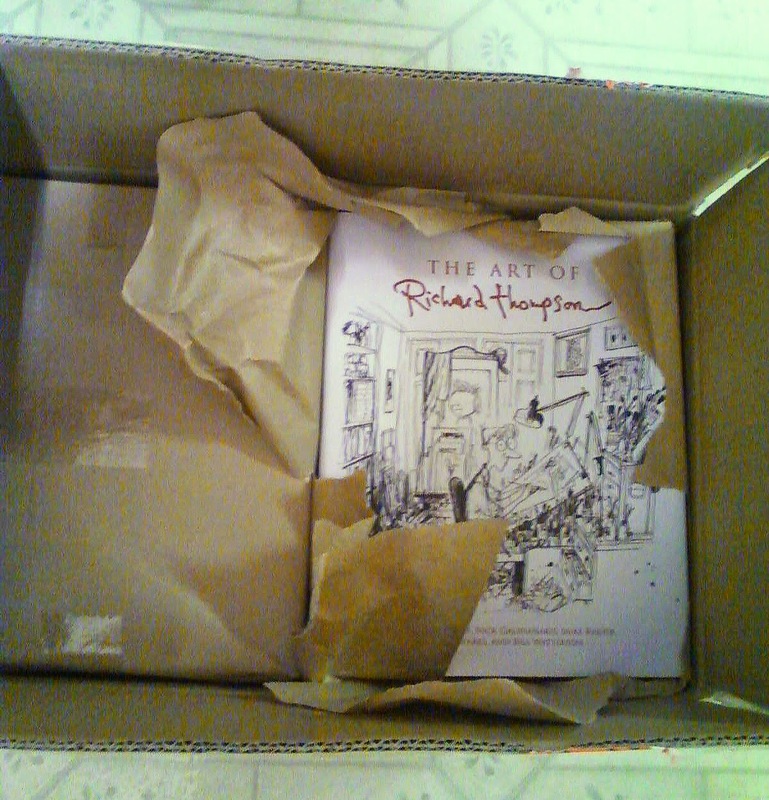 Contributor copies of The Art of Richard Thompson began arriving yesterday. I believe Chris Sparks will be selling copies to benefit Team Cul de Sac. Make the Art of Richard Thompson a Goodreads' Best Graphic novel! Go to https://www.goodreads.com/choiceawards/best-graphic-novels-comics-2014 and put the book in as a write-in choice at the bottom of the page.